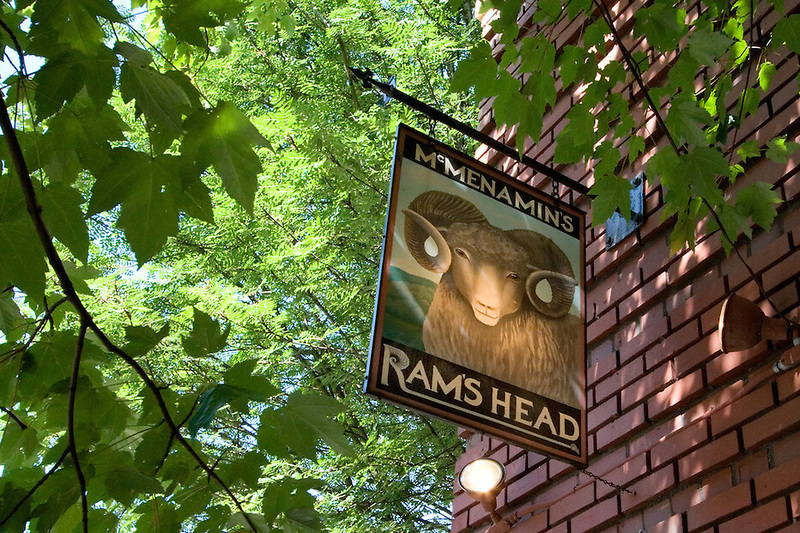 Friday & Saturday, 11 a.m. 'til 1 a.m.
Book your group Get-Together at Rams Head Lounge! Housed in "The Campbell," a residential hotel (now high-end condos) built in 1912, the Rams Head is a spirited meeting place just a step down off the sidewalk. 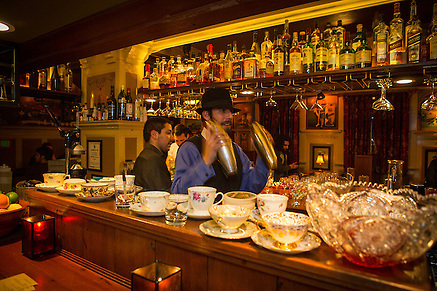 As you sample the specialty cocktails, take note of the rich historical attributes, from woodwork to artwork. Enjoy outdoor seating on those beautiful Pacific Northwest days, a cool handcrafted McMenamins ale in hand. Have your next gathering in our Rams Head Lounge! The Rams Head allows pets at our sidewalk seating only. Our menus feature local ingredients, house-baked breads, desserts and pastries from the Crystal Bakery, a specialty cocktail menu and an affordable yet approachable wine list, while our waitstaff provides a comfortable and welcoming guest experience. No reservations are necessary; stop by for a quick lunch while you're out shopping, a pre-show drink or an evening date night along Northwest 23rd Avenue. reservations on Friday and Saturday nights may be limited. 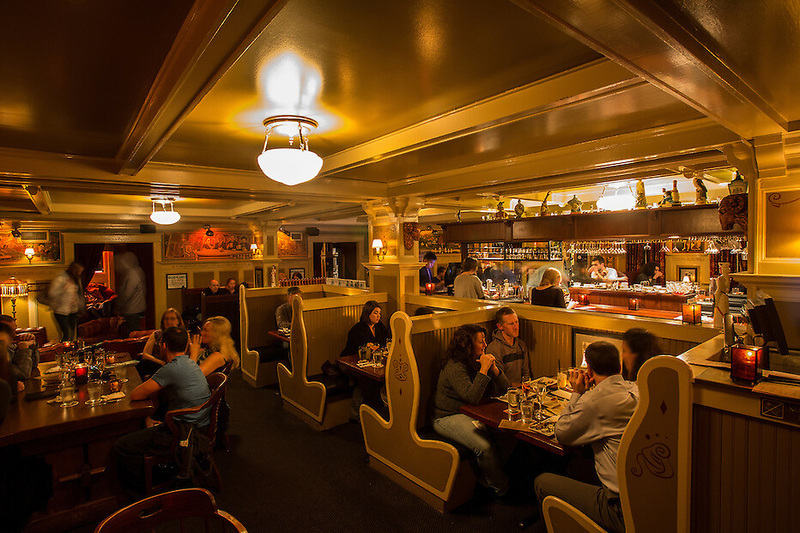 If your next gathering is for 20 to 25 people, we've got the perfect comfortable, charming space. The lounge area at Ram's Head now has two rooms complete with couches, cushy chairs and coffee tables. 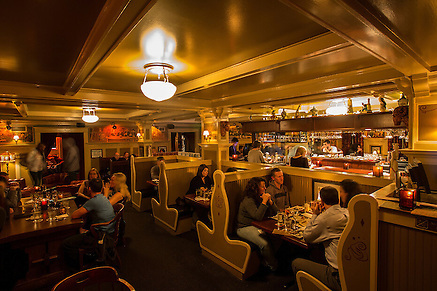 This space is ideal for a group ordering small plates and appetizers chosen from our pub menu. During Prohibition, all the drinks were served in coffee cups at this hotel restaurant... hmmm.... Read more for a complete history.